I actually bought this anthology book sometime last year for cheap, but while I thought about doing it myself if I got around to it eventually, I'm just gonna upload the first chapter to the web and scan the rest by demand if anyone wants to translate it. 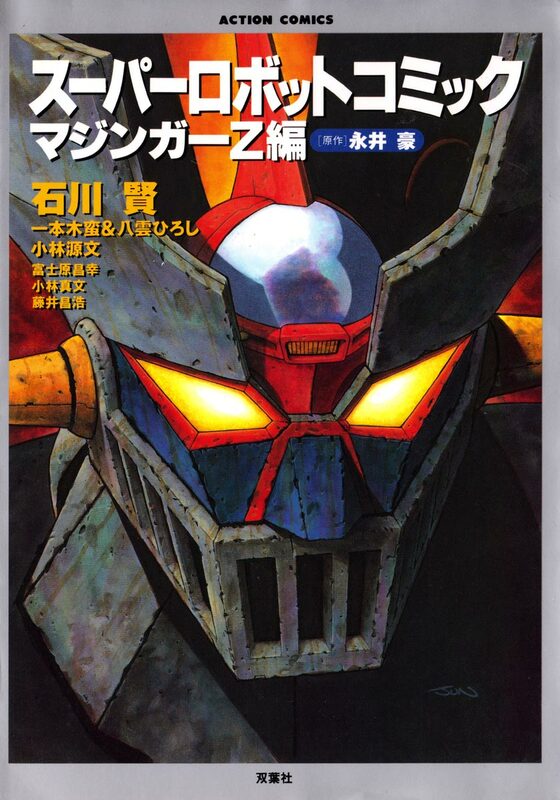 If you're wondering why, well, I don't really care much for the likes of Mazinger. It's alright, but nothing amazing. However, if anyone wants to do this, I'm open to cleaning and typesetting if need be. If I'm not needed, well, just credit me as scanner or something. At any rate, I have a few other things I'm gonna scan the first chapter of soon, so watch out for them, too. Enjoy. See ya!